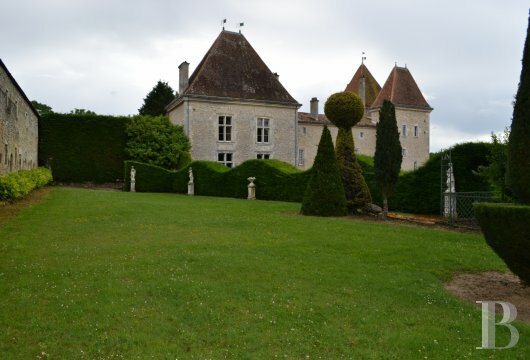 A Renaissance chateau, redesigned in the 19th century, bordered with Italian-style gardens over 23 ha near to Bordeaux in the French department of Lot-et-Garonne - chateaux for sale France - in South-West, Perigord, Dordogne, Quercy, Limousin - Patrice Besse Castles and Mansions of France is a Paris based real-estate agency specialised in the sale of Castles / chateaux. Less than an hour from Bordeaux international airport, five minutes from the A62 motorway and ten minutes from the SNCF train station with links to Paris. 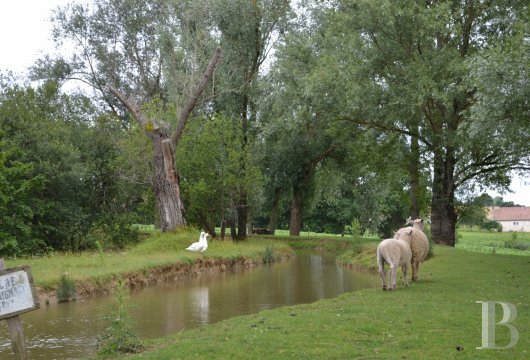 Less than ten minutes from Casteljaloux and its 17 ha lake, a casino, a renowned thermal centre and an 18-hole golf course. 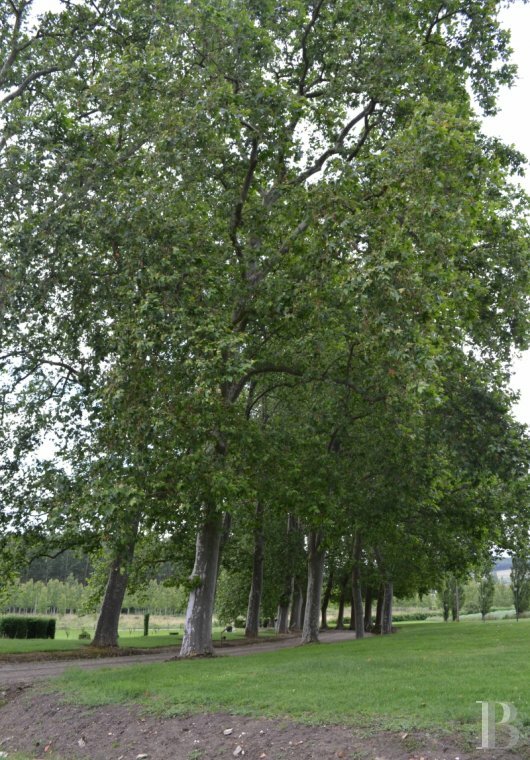 The Landes forest stretches out to the east with the hills of Gascony to the south and the Buzet vines nearby; all regions known for their peaceful way of life. 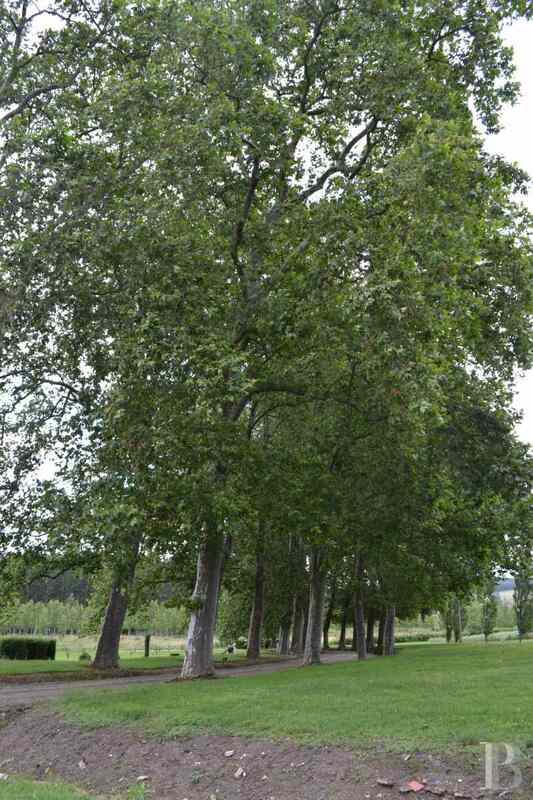 A first set of gates open on to a wide, plane tree-lined alleyway leading to a main courtyard, closed by a second set of gates. 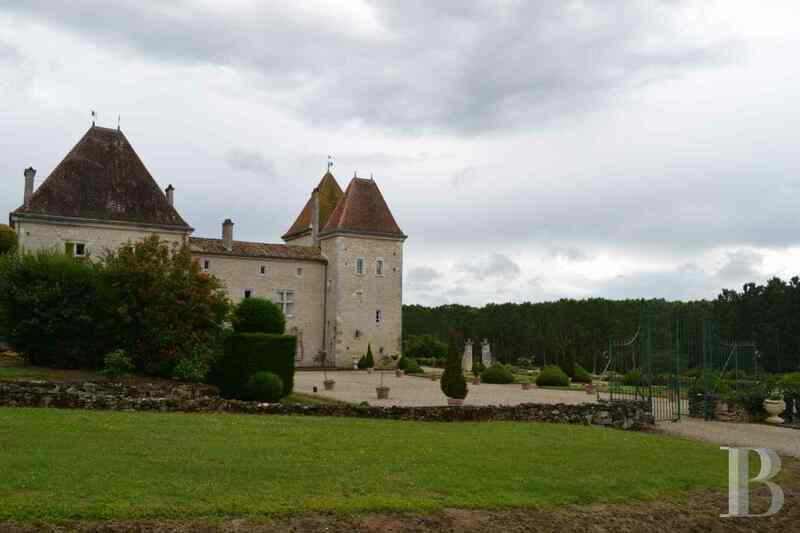 The east facade of the chateau, with its two towers and its central building, is the first to come into view. 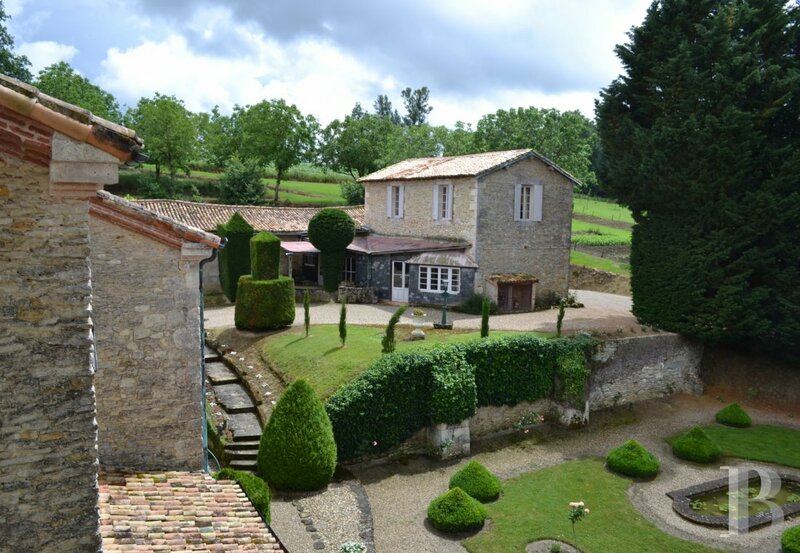 Standing almost in the centre of the 23 ha parklands, this property brings the small chateaux from the Bearn region, often found in the south-west of France, to mind. The outside walls feature local white limestone. An alleyway, bordered by flower-filled, Italian style terracotta pots, leads to a high carriage doorway which has replaced the original postern. Opening on to an exposed stone, barrel-vaulted gallery, it provides access on horseback or in a vehicle to the inner courtyard. 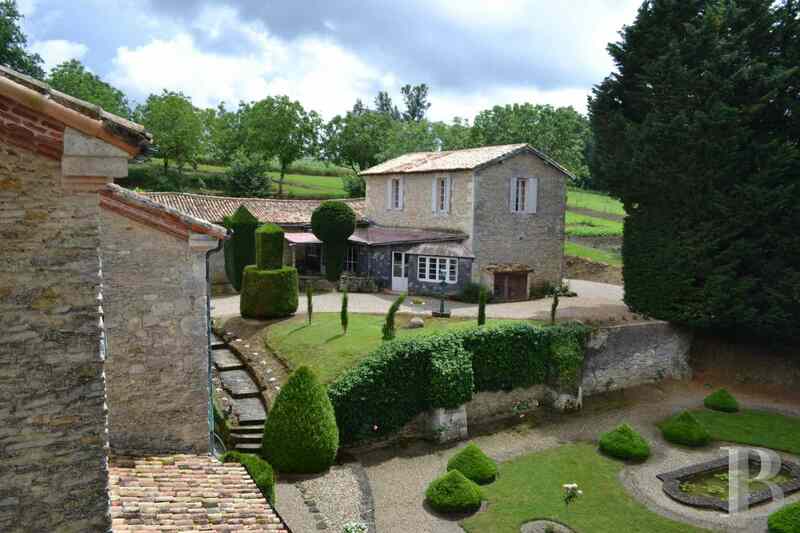 This estate is along the Roman Way that linked Casteljaloux to Agen. In the 12th century, Eleanor of Aquitaine had a 3-storey, rectangular defence tower built from the local limestone to protect her duchy. At the end of the One Hundred Years War, the tower was replaced by a castle which was more welcoming despite its artillery and firing stations. 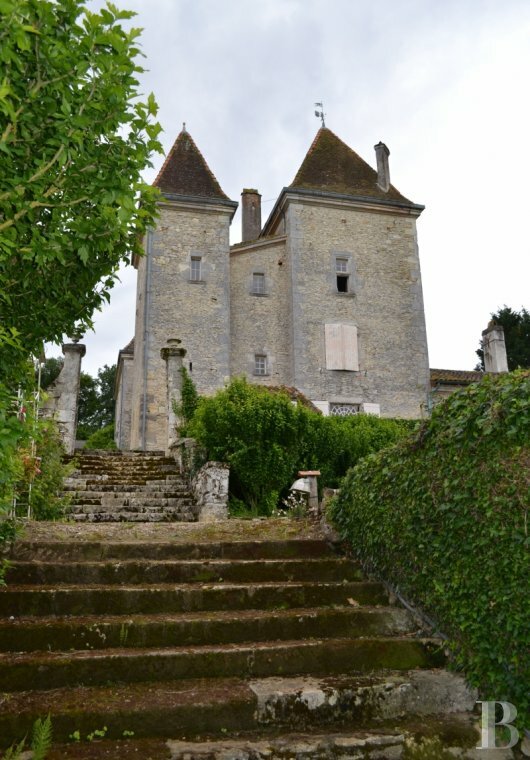 During the Wars of Religion, its owner, Pierre-de-Sacriste, chose to renounce his Huguenot faith as a sign of allegiance to his king Henri IV, which spared the castle from damage. 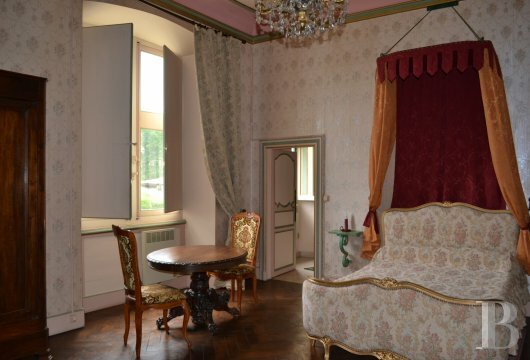 In the 17th century, the building was completely redesigned in an Italian Renaissance style and Versaille fashion. 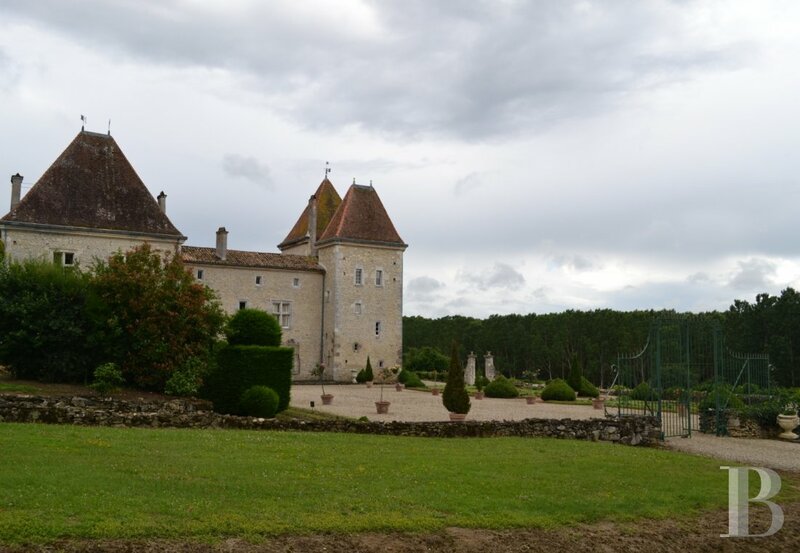 The moats were filled in, French formal gardens were created, the insides decorated with frescoes were reorganised and given wide openings in order to let in copious amounts of light. 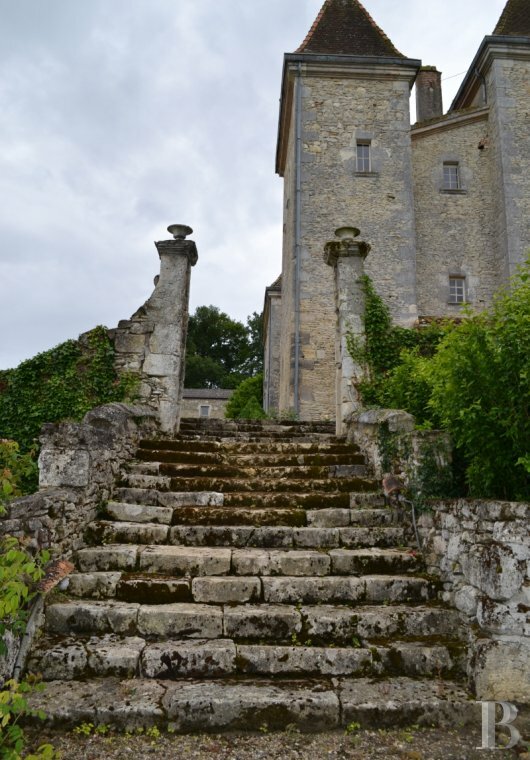 Then came the French Revolution and in 1794, the chateau was defaced. 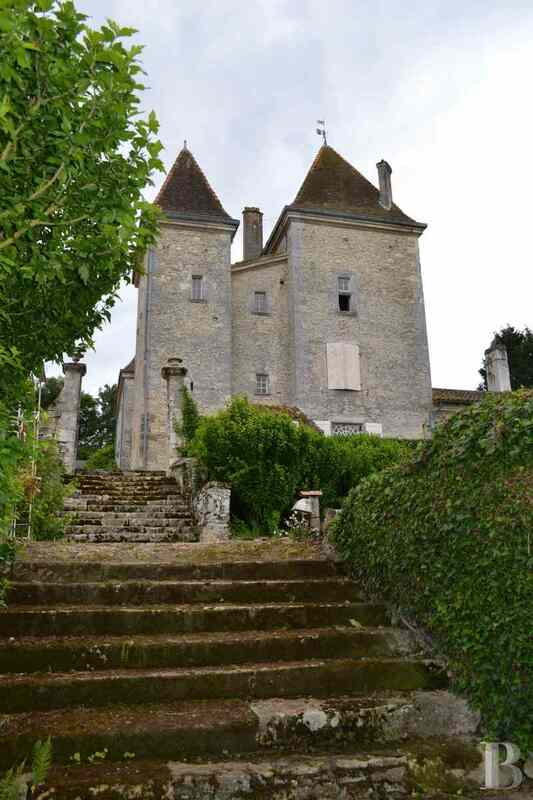 It was to be restored in the 19th century by Baron-La-Valette, made a noble by Napoleon, before once again falling into disuse and ruin until its current owners bought it and decided to save it. Their main aim was to give it back all of its Renaissance splendour. 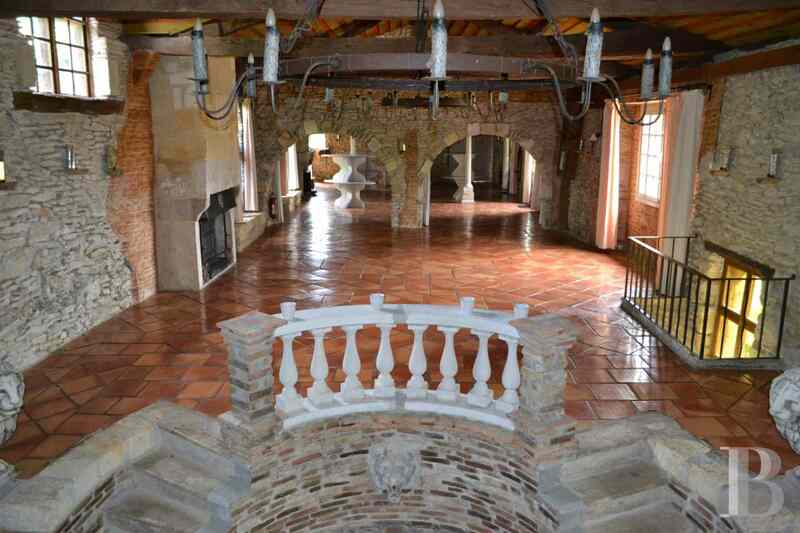 Double doors open from the vaulted gallery, on the north side, into a large dining room with wainscoting and a French ceiling where a large, listed, stone fireplace takes pride of place. Its jambs are sculpted with palm trees and shells. The kitchen, fitted with tall cupboards, opens on to a small arbour, looking out over the north-facing terrace, very pleasant for taking meals. The floor is covered with white tiles. A small, back kitchen houses domestic appliances. 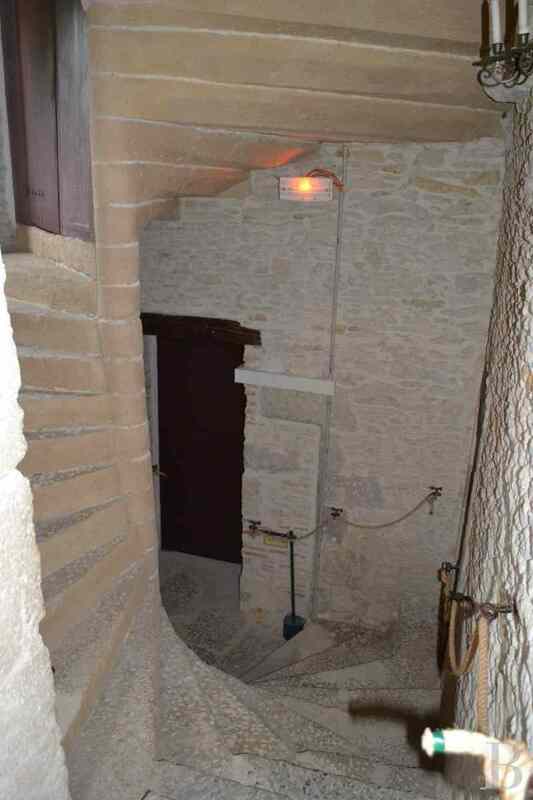 A door, on the east side, opens on to the spiral stone stairway which goes upstairs and on to the stairway hewn out of rock leading down to two vaulted cellars. Fire and firing holes can still be seen in these medieval substructures. On the first level is an initial, north-facing bedroom with a bathroom and toilet. On the second level, a small flat comprises two north-facing bedrooms with a bathroom and a toilet. The bedroom on the far west side is topped with a mezzanine. It has an unobstructed view. 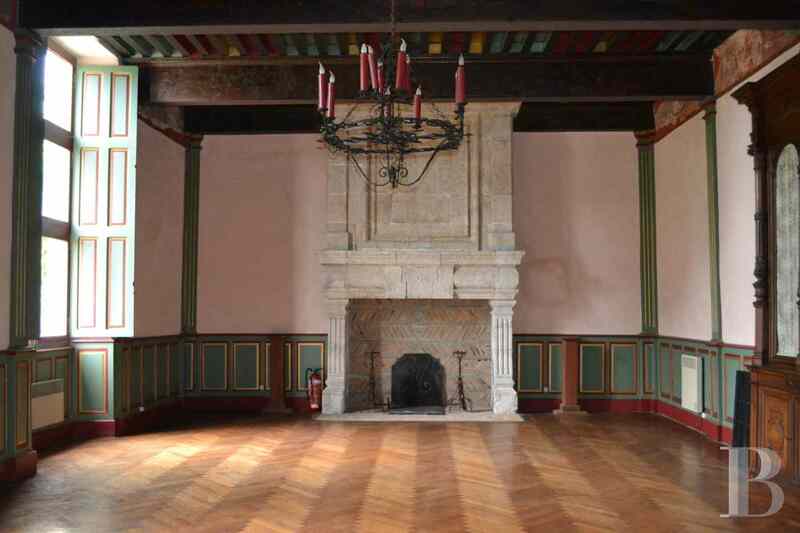 A door to the left of the fireplace in the ground floor dining room opens into the “Salon des glaces” (lounge of mirrors), an allusion to the famous Versailles gallery, the wooden panels of which are covered with mirror squares. In keeping with the 17th century style, the scrolls over the top of the doors have been decorated with landscapes or pastoral scenes painted on canvas. 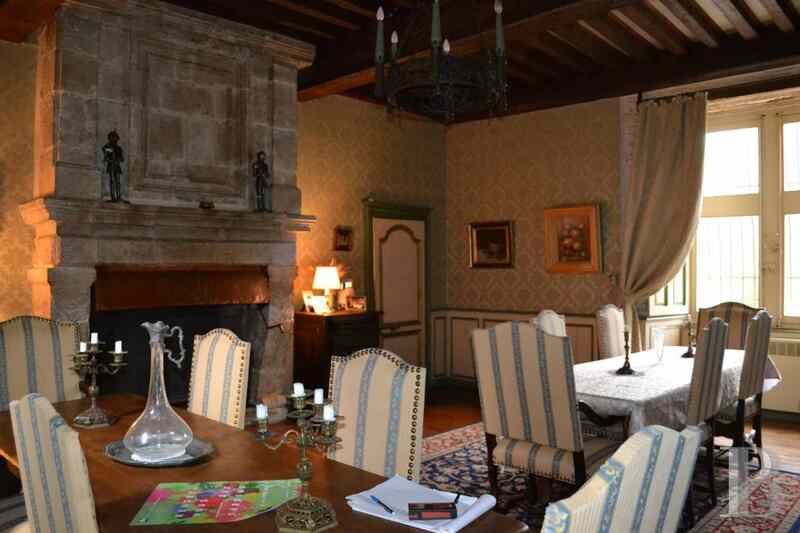 According to a layout typical of this era, the opening of dividing doors reveals the superb adjoining state rooms with French ceilings, all reached via French windows, with semi-circular fanlights, opening on to the terrace. 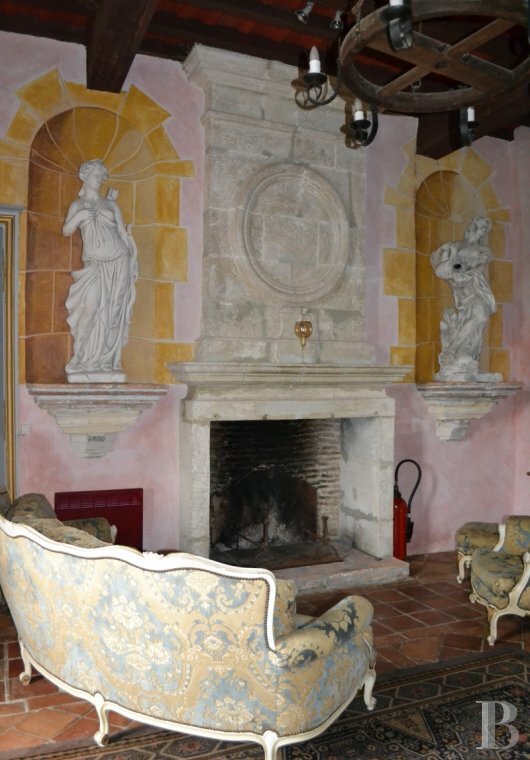 In the main state lounge, on the chimneybreast of a stone fireplace, the owner has painted the coat-of-arms of Agrippa-d’Aubigné, who was the chateau’s host at the time of the Reformation. 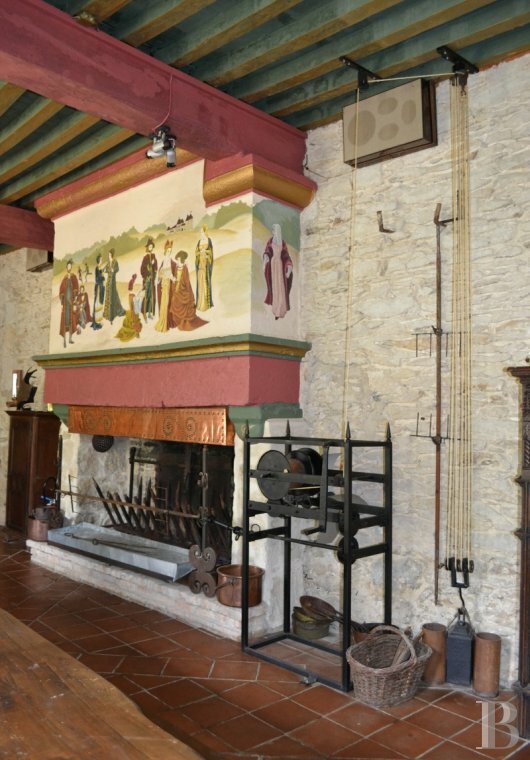 On the wall facing the fireplace is a painting, representing the property as it was in the 17th century. A round alcove, which communicates with the dining room via a small adjacent cloakroom, has been created in this room. The following room has been transformed into a theatre. 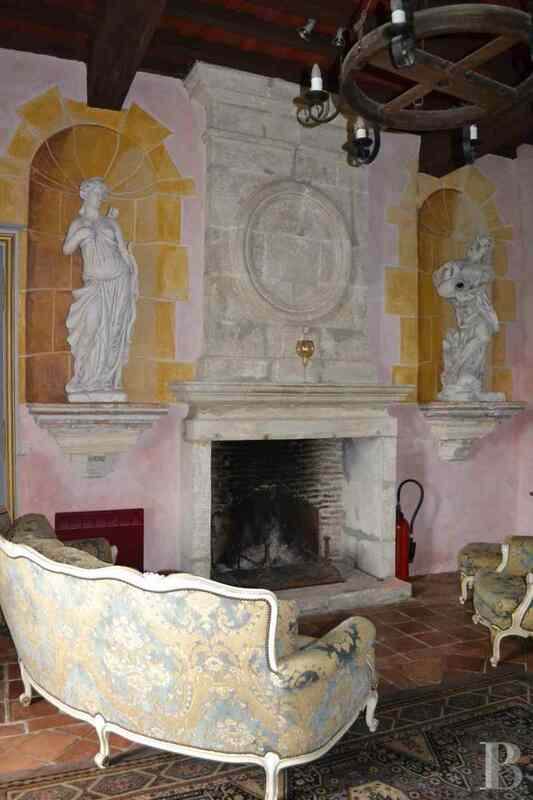 A superb stone fireplace, in the lounge-library, has an oculus-shaped sculpture on the chimneybreast, flanked by trompe-l’oeil decor featuring recesses in front of which stand two full-sized statues. Arcades of imitation brick on the opposing wall, resembling more than one Italian palace, are topped, level with the ceiling, with a line of terracotta balusters bearing the patina of time. There are shelves between the arcades. 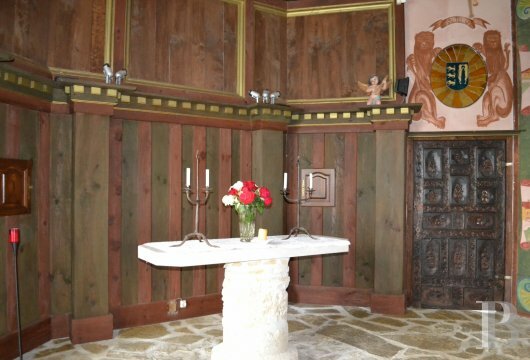 This chapel stands at the end of the chateau’s east-west wing, but it cannot be reached from the inside as the doorway has been sealed up. It is accessed, on the south side, via a small round, covered area opening into the inner courtyard or, on the north side, via a door opening on to the terrace. 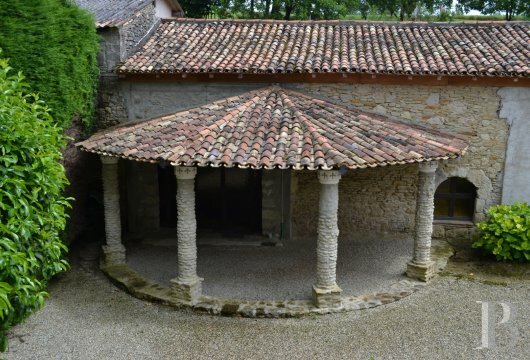 Restored by the owners in an austere Huguenot style, it features stone floor tiles, laid opus incertum. In the middle, it is possible to make out a long cross engraved in the floor. 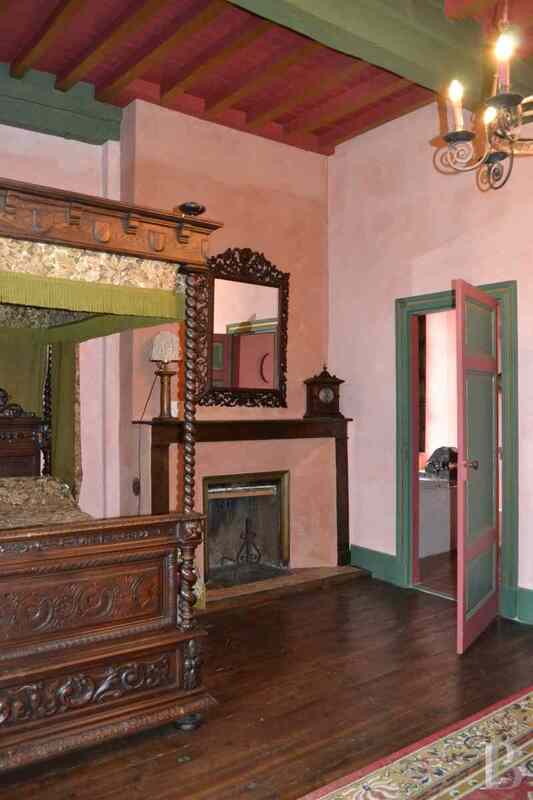 A finely wrought, coffered Spanish door is set in a corner. It is topped with a coat-of-arms, painted on the wall. The base of the stone altar, found during the works, has been reinstalled in its original position. 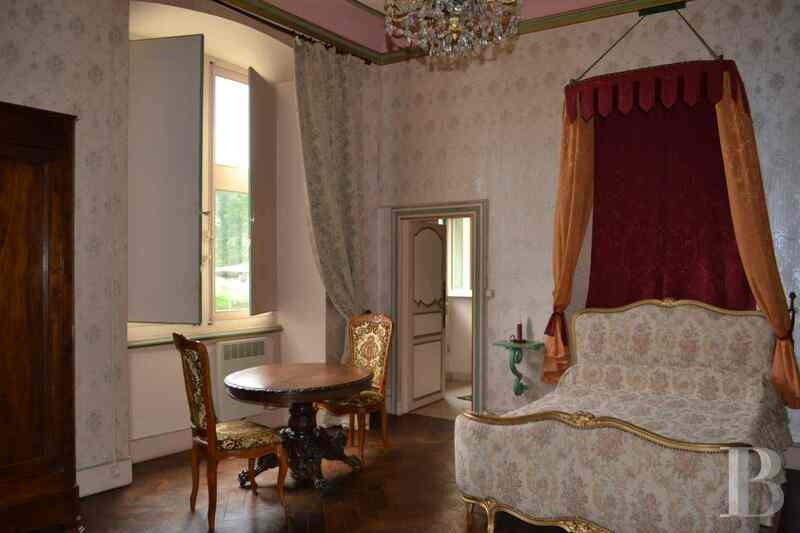 This “professional” section, with two immense reception rooms, comprises several guest bedrooms upstairs. 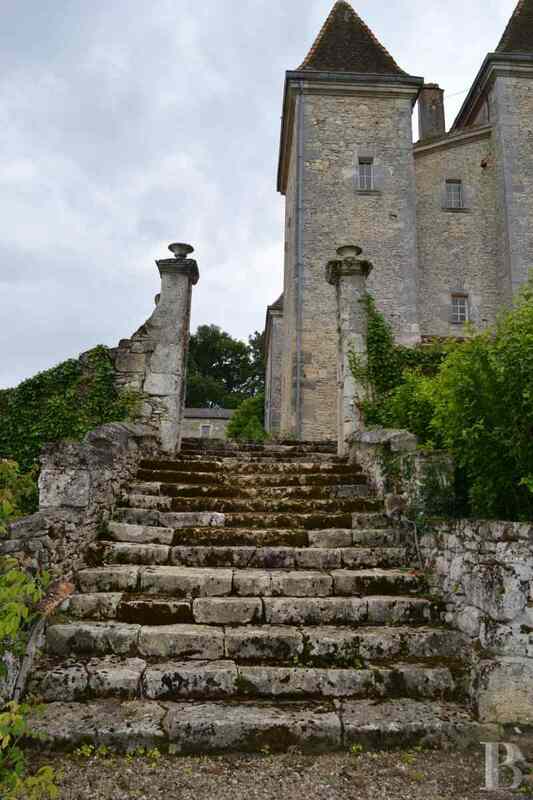 A wide flight of stone steps leads south from the lounge of mirrors to a landing providing access to the hall of “Jean Sacriste”, whose family owned the castle as of the 15th century. 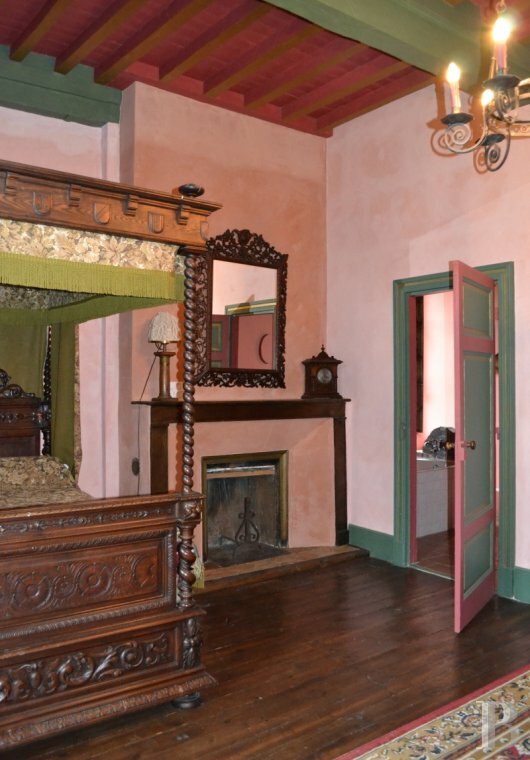 This immense room, which was undoubtedly a “courtroom, has wainscoting. Columns with pilasters are directly below the beam heads. Like the wainscoting and the indoor shutters on the tall mullioned windows, they are painted a dark green with gilt edging which contrasts with the dusty pink walls. A frieze painted in fresco between the columns was discovered during the rehabilitation works. 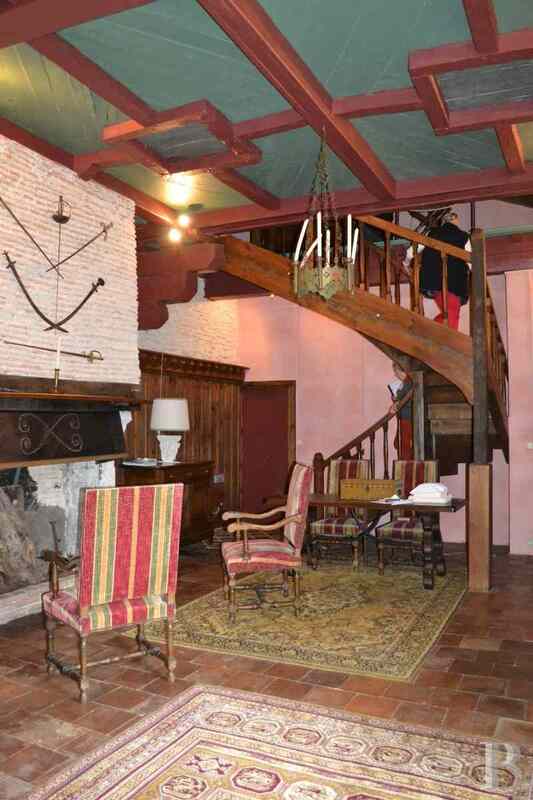 The French ceiling beams are covered with Cordovan leather, decorated with scrolls painted with floral motifs and hunting scenes which form an exceptional decor. The inter-beam joists are also painted dark green and garnet. 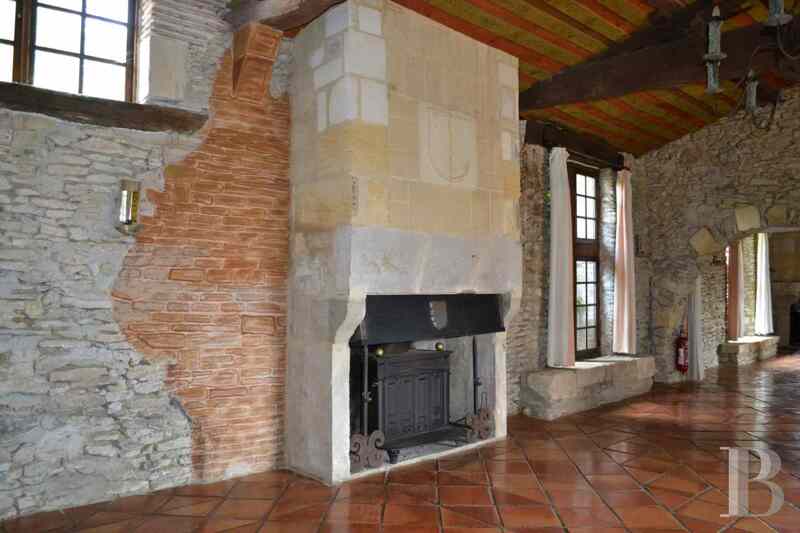 The east wall features an impressive stone fireplace. Two tall, wide windows with indoor shutters open on the east side on to the entrance courtyard. 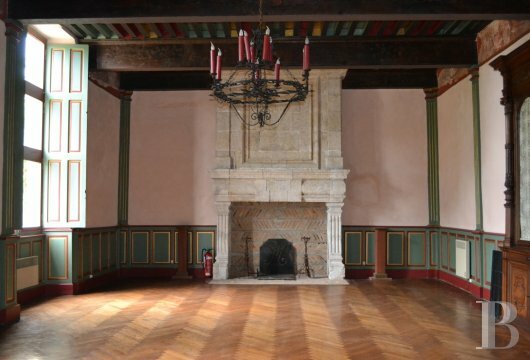 This room, representative of the French Renaissance period, is listed. The adjoining room, as long but not so wide, bears the name of Agrippa-d’Aubigné as this man of war was apparently given first aid there after having been wounded at the battle of Malvirade opposing Protestants and Catholics. 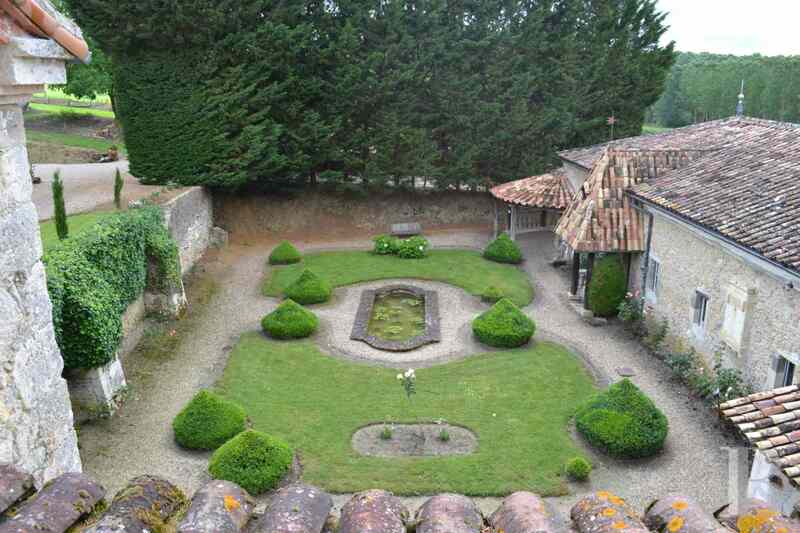 It looks out west over the inner courtyard via three windows. Directly in line with one of these, it is possible to see the well, an essential part of any feudal castle. 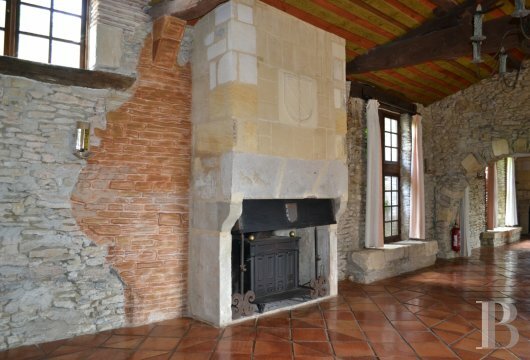 The room has terracotta floor tiles and its tall fireplace with a brick mantelpiece still holds the mechanism of a large roasting spit. 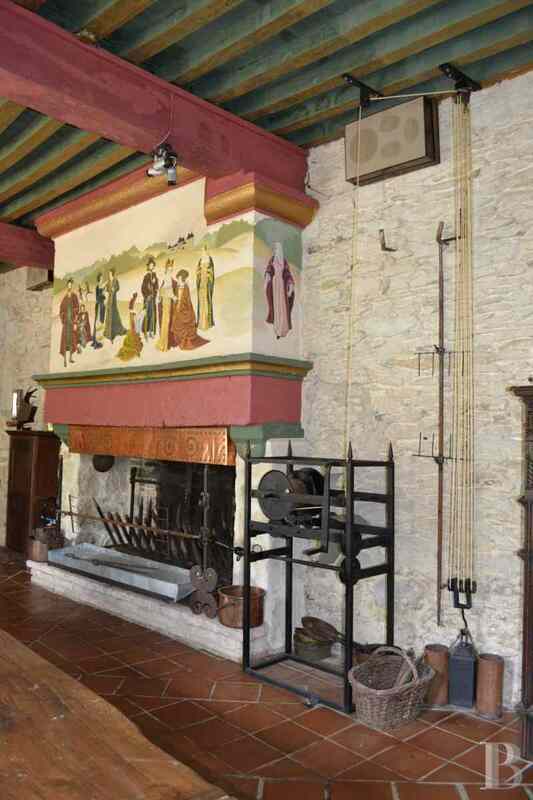 The chimneybreast features a scene representing the battle of Malvirade in 1577 in the castle moats and the decapitation of the son of Lord Jean-Sacriste, equerry of Henry IV, king of Navarre. 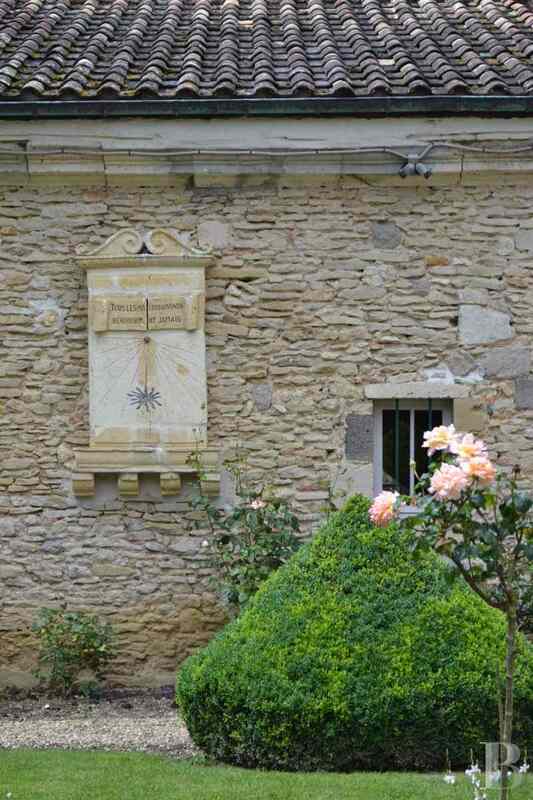 This scene recounts details of Agrippa-d'Aubigné’s poetical work known as “Tragiques”. There is a French ceiling. 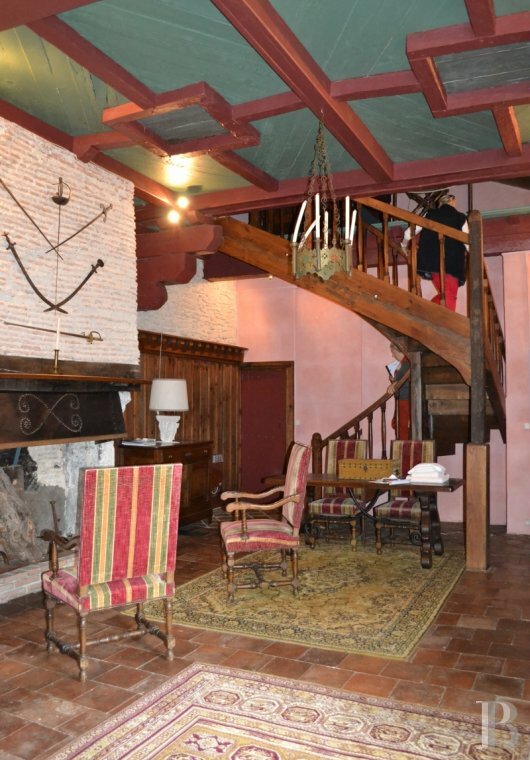 This last room opens on to a landing with the residence’s second spiral stairway. Very wide, it leads to the various floors. This level comprises the bedrooms, each with its own fireplace and bathroom. Named after Marie-Baccoué, Madame-de-Maintenon, Jeanne-d’Albret, Marguerite-de-Navarre and Henry-de-Navarre, they are all steeped in light coming in through mullioned windows facing north or looking out over the main courtyard. 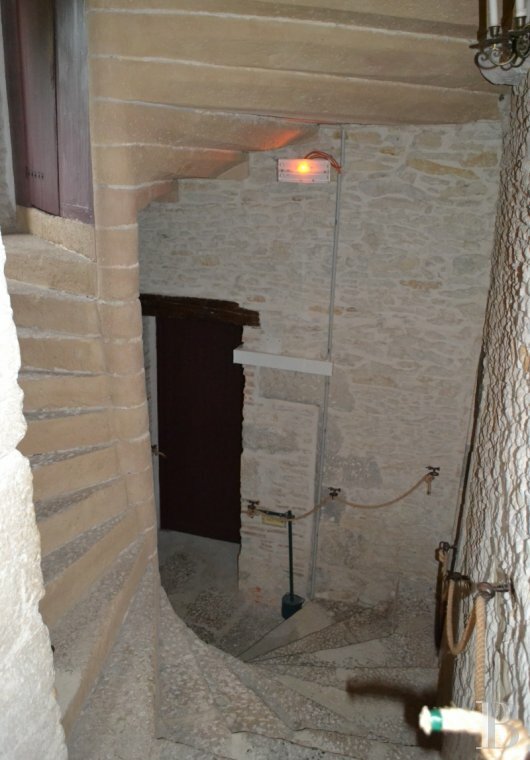 The spiral stairway leads up to a landing providing access to the Black Prince’s bedroom, a small bedroom with a kitchen area where a caretaker lived when works first began. It looks out over the main courtyard and constitutes a perfect observation post. A small, north-facing suite, used for family purposes, opens into two east-facing bedrooms, dubbed Sacriste and Charlotte. At the end, a small bathroom has a slipper bath and a toilet. 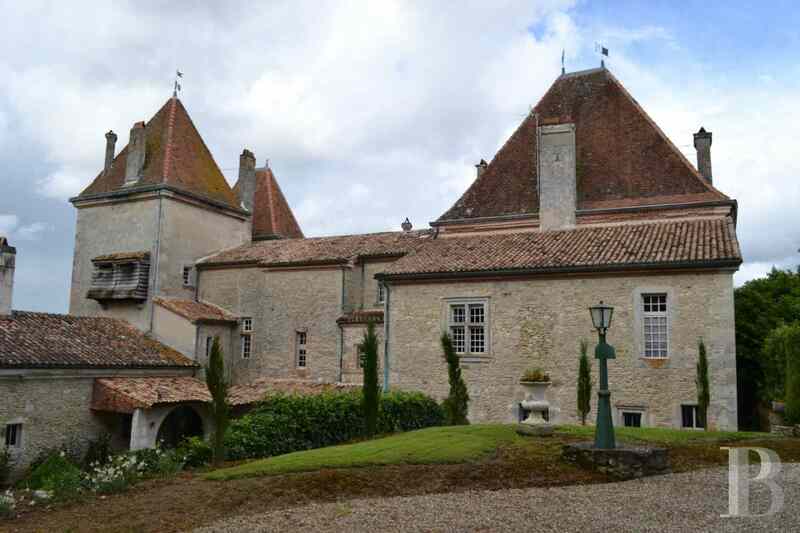 This long, one-storey building, topped with attic space, originally housed the chateau’s garrison. 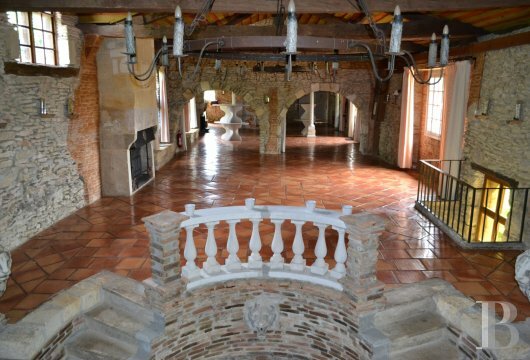 The owners have given it a more peaceful vocation as it is currently used for hosting large weddings, seminars and cultural events. The “Salle des Chevaliers” (knights’ hall) takes up the biggest section of this wing. It features openings on the north and south sides, making it extremely luminous. A double flight, stone stairway, with a sculpted fountain in the centre, provides access to the reception floor, enhanced by a colonnade of balusters and a large stone fireplace. Above is a tribune, intended for musicians. Set at right angles, a building houses two large kitchens, one for cooking and the other, with its cold room, for preparation. A small caretaker’s dwelling above the kitchens is reached via a straight stairway. It comprises a bedroom with a bathroom, a living room with a kitchen area and a second bathroom. Above the garages extending to the east side, is a nursery-dormitory, complete with a small bathroom and toilet. Next to it is a linen room with an ironing board. On the east side, this long building becomes a farm shed-workshop for farming equipment. 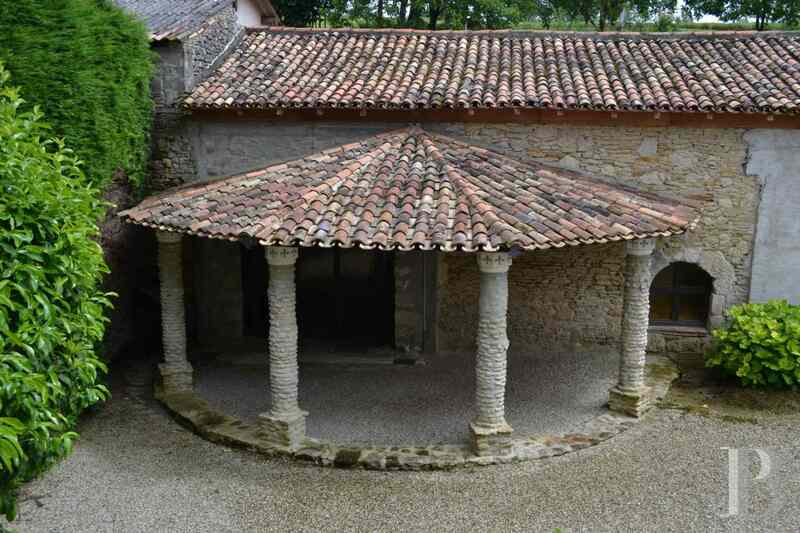 There the Everite roof is laid on a metal roofing framework, but the load-bearing wall, visible from the main courtyard, has been treated like the facade of a half-timbered house, typical of the Basque region, with wooden beams and flat tiles. The gardens, decorated with statues and terracotta vases, planted with Mediterranean cypress trees and boxwood, trimmed into balls, bring Italy and the Renaissance period to mind. 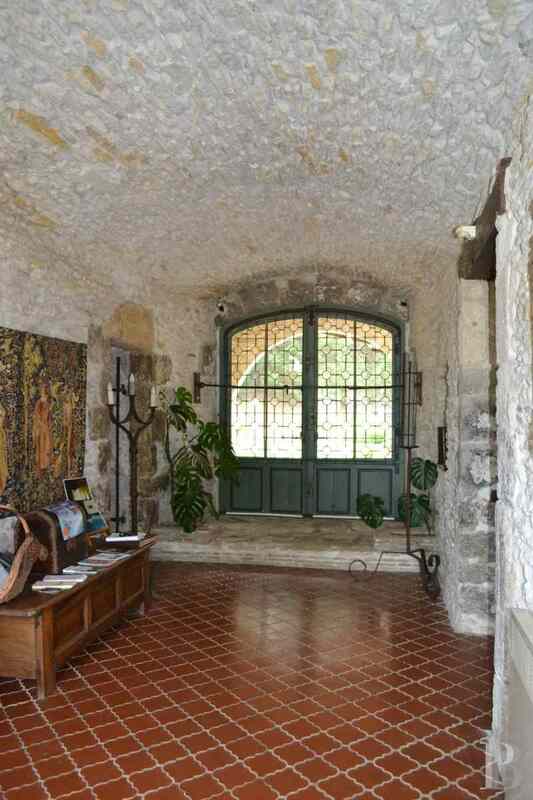 The entrance courtyard sets the tone: gravelled and surrounded by railings, it is crossed by the alleyway leading to the large, entrance porch way, enhanced by a series of Imprenuta style, terracotta vases. Wide steps lead from this courtyard to the garden level below with its alleyways of hibiscus, trained along espaliers, and its high yew hedges. 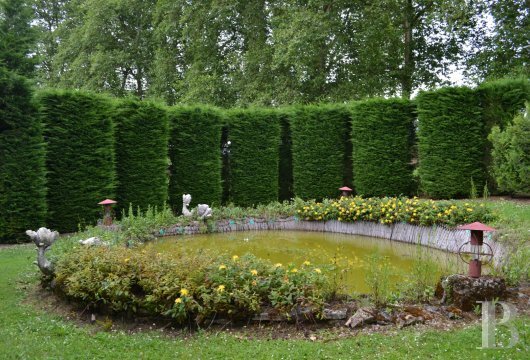 A verdant area, formed of yew trees trimmed in a scalloped shape, is set out around an ornamental pool evoking Versailles’ pleasure pavilions. 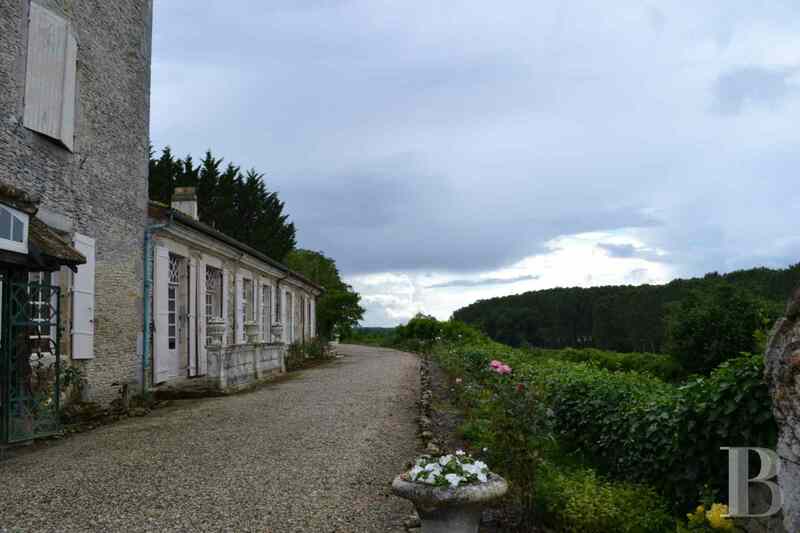 A second set of steps leads down from the terrace running alongside the east-west wing to the “Grand-siècle” “17th century) garden, planted with decoratively shaped bushes and dotted with Mediterranean cypress trees, the Richelieu embroidery parterres of which are enhanced with a series of red and white gravel. 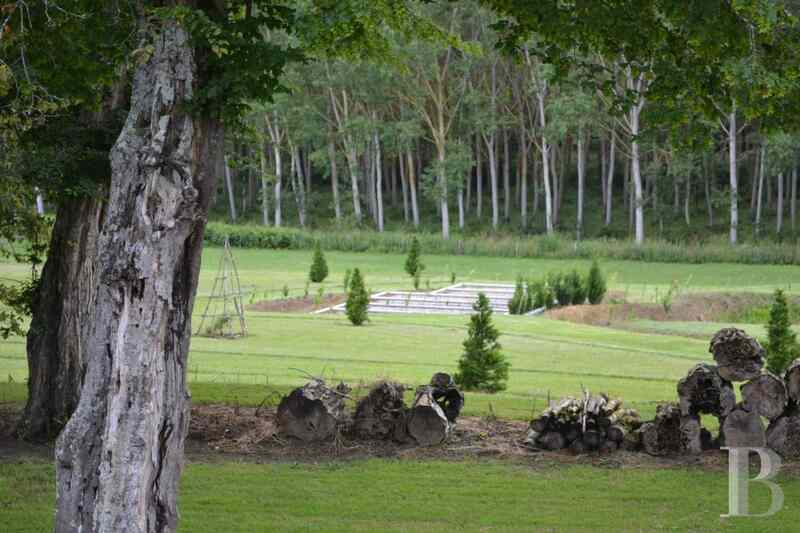 The garden gently slopes down to the little, invisible road, providing a view of a poplar forest. On the east side looking down are a swimming pool and its terrace. 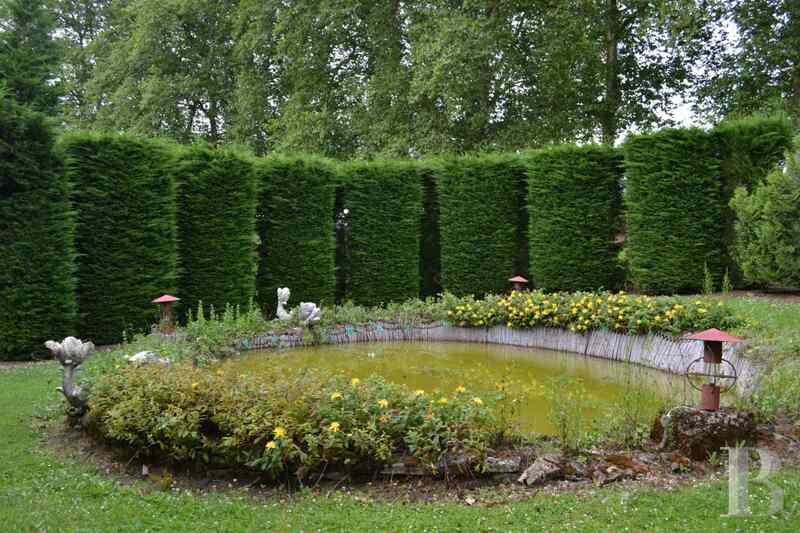 This large pool is surrounded by a thick yew hedge and metal safety fencing. 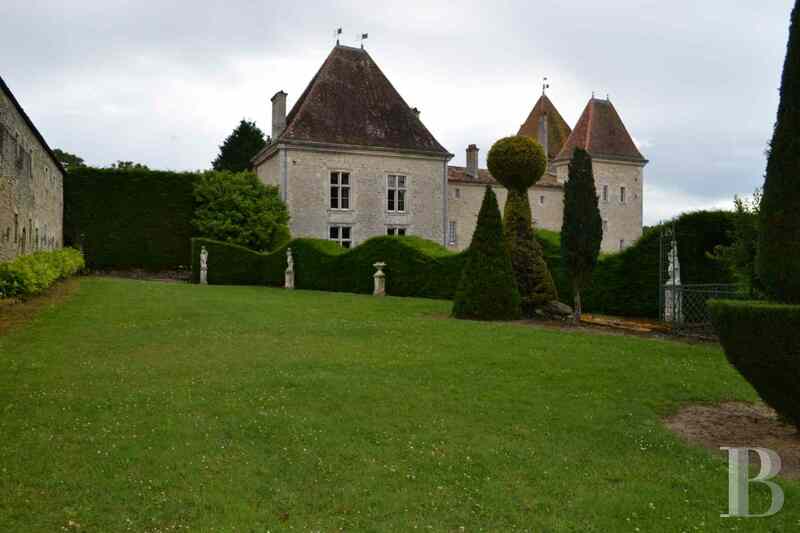 Both of the chateau’s wings, a small raised terrace and a high embankment, planted with trees, delimit an inner courtyard, with a central stone, ornamental pool. 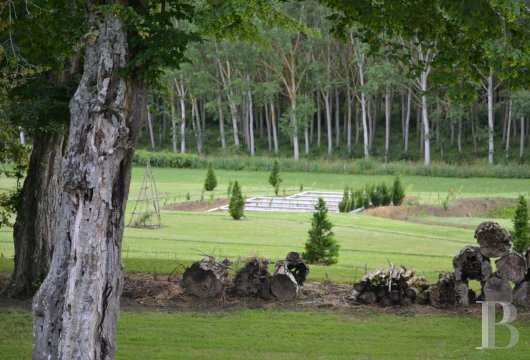 Fruit trees have been planted in the plot above the chateau, near to a sheep pen with its fold. A lake provides the necessary water. There are also five wells dotted throughout the gardens. 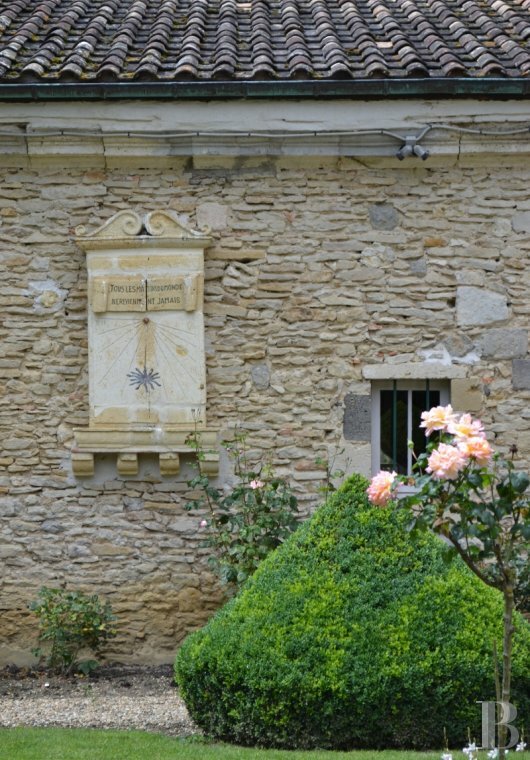 Agrippa-d'Aubigné, the belligerent poet from the Renaissance period, the memory of whom appears to haunt the chateau, used to say that “to be halfway resigned is to be completely lost”. The profession of faith applies perfectly to this historic residence saved courtesy of the determination of two great heritage enthusiasts. Without compromising, they had the carcass as well as the exteriors and the roof superbly restored such that all are now in pristine condition. The parklands and the wonderful gardens are remarkably well-kept. They also started a successful professional activity devoted to hosting large weddings as well as artistic and cultural events. And yet, there is no lack of development potential. 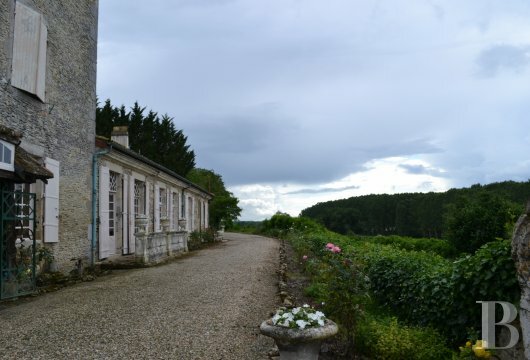 This combination of space and beauty would, for example, be ideal for a more up-market hotel and catering business linked to the French art of living likely to appeal to foreign customers. 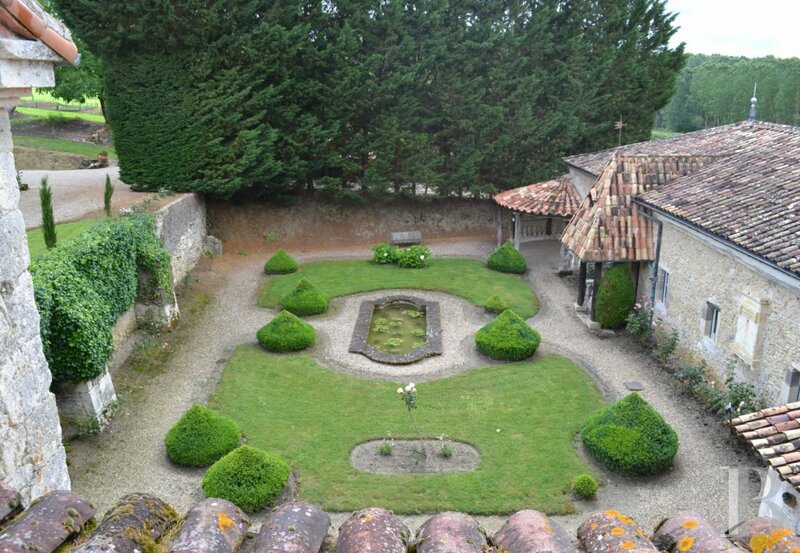 In such a superb setting, it would also be possible to imagine a Baroque music festival.